There are hundreds of different tripods on the market – which is best for you? I am often asked by people attending my Night Photography or Seascape workshops, which tripod they should buy. Tripods are one of those photography items, like camera bags, where you can never quite find the right one. In this guide, I am going to look at the key things you should think about when buying your first tripod. The first thing you need to know about tripods is that you will always have to make a compromise. In the graphic above there are three high-level attributes of tripods. Weight – Whether you are hiking up hills or travelling through departure lounges, it would be great for your equipment to be light. Tripods made from Carbon Fibre or Magnesium are super light. Aluminium ones can be a bit heavier. Sturdiness – The purpose of a tripod is to support your expensive camera equipment. If you’re shooting with a pro level DSLR it could be supporting 5kg of weight. The last thing you would want is for the tripod to fall over with a small gust of wind. 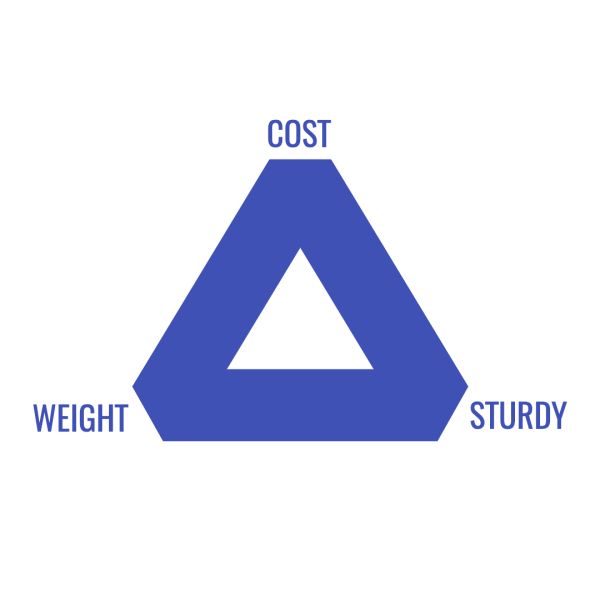 Of these three attributes, you can usually have two of the three. If you want cheap and light, then the tripod won’t be sturdy. Cheap and sturdy then it will be heavy. Light and sturdy then you’ll be paying top money. Cheaper tripods tend to come with the head (the part where you attach the camera) as an integral part of the tripod. This can be OK if your camera isn’t too heavy. For your average DSLR, you may want to choose your own head depending on the type of photography you do. So what head is the best? There are four tripod head types. Ball heads pan and tilt heads, fluid heads and gimbal heads. A ball head tripod works on the basis of a ball and socket joint. The angle of the camera can be adjusted by allowing the ball joint to rotate around 360 degrees. This gives a great degree of flexibility. However, cheaper models may not hold the weight of a heavy camera. This can make it difficult to make a very minor adjustment, for example when trying to straighten a horizon. There will usually be a notch toward the bottom of a ball head. This serves two purposes. The first is to allow the camera to be tilted from horizontal to vertical orientation. It can also be useful if you want to have the camera pointing in an extreme upward direction. A pan and tilt head allows the camera to be rotated across two or three axes independently. 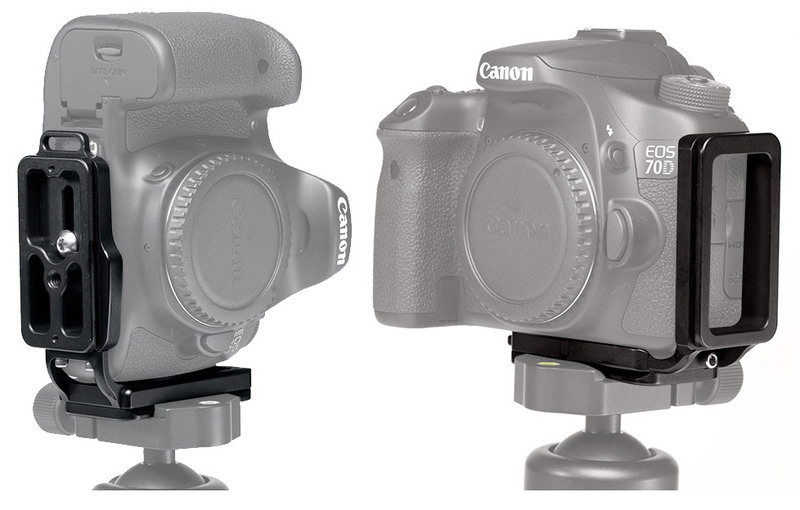 This means that you can get a much more accurate setting of the tripod. However, it also means that the construction is more complicated. With the extra gears needed to make the setting accurate comes extra weight. The fluid head type is more usually used with video cameras. There is a long arm which can allow movement either up and down or side to side. The base of the tripod then allows the camera to rotate around an axis. Fluid heads have the same advantages as pan and tilt heads. However, they can be more cumbersome to carry. The final head type, a gimbal head is mainly used by sport or wildlife photographers as it best suited to heavier lenses. 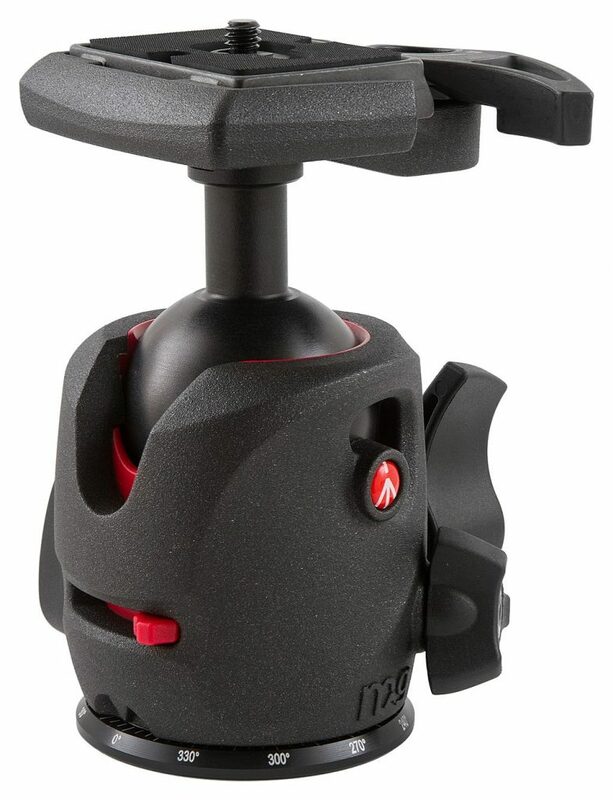 The mechanism allows the camera to be quickly and smoothly rotated around the centre axis of the head. Early tripods were attached to the camera by screwing one to the other using some kind of screw fitting. This was quite fiddly and so Quick Release plates were invented. There are attached to the base of the camera and are then attached to the tripod with some kind of locking mechanism. Some tripod manufacturers developed their own system. 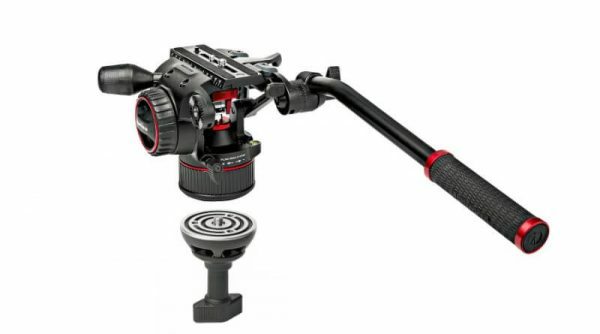 For example, Manfrotto has a very robust RC4 system which is used on some of their heads. However, as it is proprietary you have to have the right type of head to use the QR plate. In the 1990s a company called Arca-Swiss developed a quick release system. The plates (which are screwed onto the camera) are a standard size. 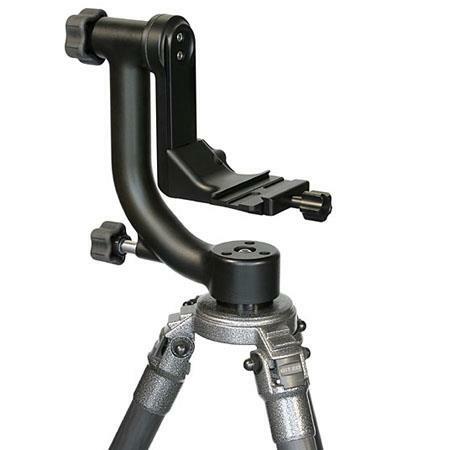 The clamp which attaches the plate to the tripod is designed to fit the plate. 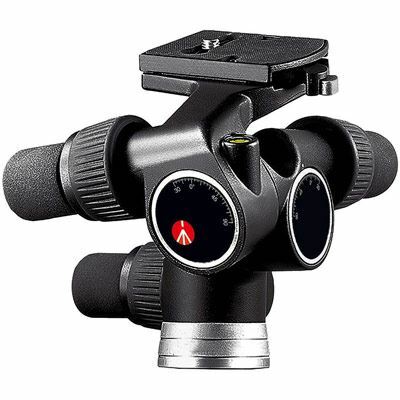 This creates a universal fit and many tripod and head manufacturers have moved to this system. 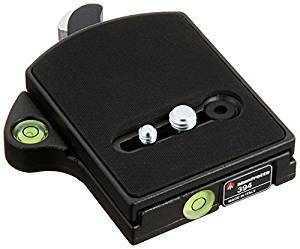 This means that the same plate can be used on multiple tripod heads providing a lot more flexibility. An extension from the Arca-Swiss head is a really great development called the L plate. A problem with most tripod systems is when you need to switch from landscape to portrait orientation. The mechanisms of the tripod head can prevent twisting the tripod. This is where an L plate comes in handy. The tripod fitting twists around the camera with an Arca-Swiss style fitting both under the camera and also at the side. This means that you can switch from landscape to portrait orientation by simply removing the camera and re-attaching it with the fitting on the short-edge. The problem with L plates is that they are usually specific to the make and model of your camera. 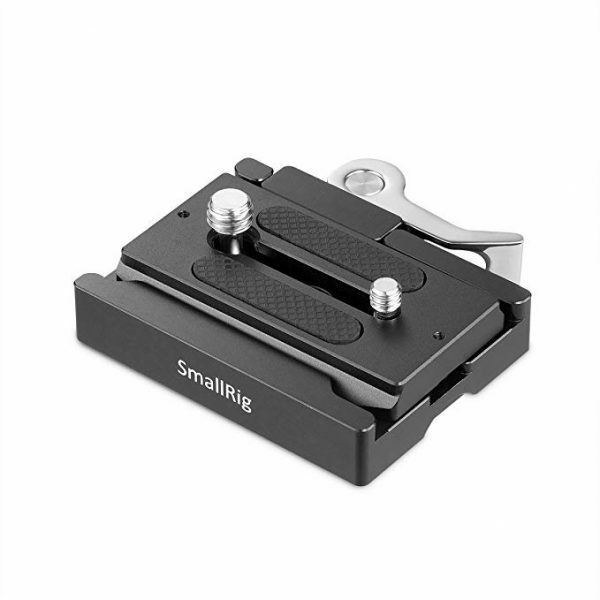 This is to ensure any shutter releases can be attached and it is simple to change batteries. If you buy a new camera then you may need to buy a new L plate. With so many things to think about, it’s easy to switch from one type to another. However, this can result in significant amounts of money being spent buying different tripods. It would be better spending £400 on one tripod at the outset instead of spending £50 on a budget tripod, replacing it with a £100 tripod and then advancing to a £200 tripod before eventually buying the £400 tripod. I know this is the case as I have been one of those that has spent £750 instead of £400! This doesn’t mean this is the right tripod for everyone – but it is right for me as a landscape photographer who wants to reduce weight but maintain stability. There are a number of manufacturers that you should also consider when purchasing a tripod. Really Right Stuff, Three-Legged Thing, Gitzo and Benro are all very reputable brands that will have similar legs, heads and L plates.